For the first time, protests over the high cost of living have reached the ranks of the IDF, a report Thursday said. For the first time, protests over the high cost of living have reached the ranks of the IDF. 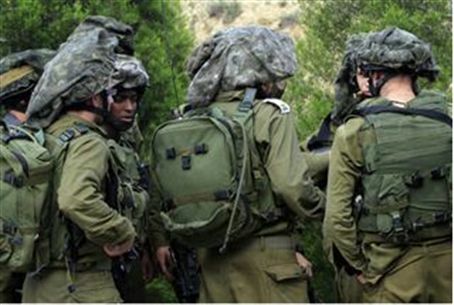 A report on Army Radio Thursday morning said that eleven IDF soldiers belonging to the Kfir division Duchifat unit left in the the middle of an operation in the field, claiming that they were protesting their difficult financial situation. The report said that the soldiers claimed they were being made fun because they could not afford some of the material goods that some more senior soldiers are able to afford. Their commanders are not interested in their problems, they said. The incident occurred over the past several days, and since them three of the soldiers have returned to their unit, the report said. An IDF spokesperson said that the commanders had expressed their “grave dissatisfaction” with the soldiers, and that they are being dealt with on an individual basis. Meanwhile, organizers of the protest tent movement on Rothschild Boulevard are making plans for another weekend of protests and demonstrations. This time, however, the action will move from Tel Aviv to Be'ersheva and other peripheral towns and cities, where the protest organizers hope to garner large crowds and prove that the protests concern middle and working class Israelis, not just upper middle class kids from Tel Aviv who can't afford apartments in the center of the city. The protest in Be'ersheva is being coordinated with the Ben Gurion University Students' Union, whose chairman, Uri Keidar, said in a radio interview that the protest in Be'ersheva “will deflect the criticism that there protests are only for people in Tel Aviv. This criticism is unjustified, and the show of strength that will take place this Saturday night will prove this. I am positive that many people will come to this and dozens of other protests in peripheral towns and cities that are to be held,” he said. Observers were doubtful that the large numbers that were reported at last Saturday's rally in Tel Aviv would be repeated in Be'ersheva or anywhere else, since many of those who attended the Tel Aviv rally likely came to enjoy the free musical performances by many of Israel's top musicians who came and played at the rally.